As we increase our efforts to listen to our members and improve communication, Esperanto-USA has heard so many wonderful ideas for improvements and new projects as well as wonderful questions about what level of support we can and cannot offer to various causes. The treasurer’s report lists many funds, as does the Donations section of our online store. It can be hard to wade through and figure out which funds do what and how members can make use of them. To make sure Esperanto-USA and your donations are working for you, we at Esperanto-USA have done the research for you about 12 of the funds which can help you the most. This fund supplies all of Esperanto-USA’s day-to-day expenses, including keeping the Central Office up and running. If you want to support Esperanto-USA in all it does, this fund is for you. If you have an idea for a project that doesn’t fit into any other fund, bring your idea to the Board of Directors. You can donate via PayPal or online at our online store. The Amikeco Translimen Fund helps Esperantists outside the USA attend the Landa Kongreso. If you want to make our national congress a little more international, this fund is for you. Contact Orlando Raola for more information about this fund. The CATW Fund supports projects designed to help elementary-age children learn Esperanto. If you have an idea to further Esperanto education for children, this fund is for you. Contact Ron Glossop for more information about this fund. The Educational Video Fund was created to support Pasporto al la Tuta Mondo and also supports the production of other Esperanto educational videos. If you have an idea for helping others learn Esperanto through video, this fund is for you. Contact Lusi Harmon for more information about this fund. The Goldman Fund supports the postal correspondence course. 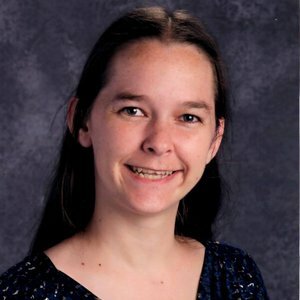 If you want to support Esperanto education through the postal service, including for those without regular access to computers, this fund is for you. Contact Dorothy Holland for more information about this fund. The Harlow Literatura Fund supports the costs of putting Esperanto literature online. If you want to help put Esperanto literature on the Internet for all, this fund is for you. The Harlow Literatura Fund does not currently have an administrator. If you are interested ins supporting this collection, contact the Board of Directors of Esperanto-USA. You can find the current collection online. The Klara Zamenhof Fund supports first-time membership dues for deserving members. If you know someone who wants to become a member but does not currently have the money to do so, this fund is for them. Contact the Board of Directors for more information about this fund. The NASKE Fund helps provide NASK scholarships for students in need. If you want to attend NASK but need help with the costs, or if you would like to support others in their Esperanto education, this fund is for you. Contact Ellen Eddy for more information about this fund. The Publication Fund supports the creation and publication of original Esperanto literature as well as translations. If you are working on an Esperanto book but need extra finances to get it published, this fund is for you. Contact Tim Westover for more information about this fund. This fund is supported by a portion of profits from books it helps publish. The Schulze Education Fund supports expenses related to Esperanto education. If you have a plan for improving Esperanto education in the USA, this fund is for you. The Thompson Fund helps cover travel expenses for young Esperantists to get to national or regional Esperanto gatherings, like NASK, the Landa Kongreso, and more. The Wolff Publicity Fund is for publicity and mass media projects to reach large numbers of non-Esperantists. If you have an idea for how to let the world know about Esperanto, this fund is for you. Contact David Wolff for more information about this fund. Charlotte is a member of the Board of Directors of Esperanto-USA. She lives in McKinney, Texas.